Appointments are available on Wednesdays with our physiotherapist Tusanee Jierasak. Tusanee can help women with a variety of conditions, both new and old including bladder and bowel control, pains in the spine or joints, headaches, and pregnancy related issues. Tusanee has had a variety of experience working in hospital, rural and private practices. She takes an holistic approach to treatment, using education, manual therapy and exercise prescription. Phone us to book appointments. How much does our Physiotherapy cost? Women with chronic and complex health problems may be eligible through Medicare if referred by a GP. Speak with your GP to find out about Medicare’s requirements. The client must come to the appointment with her valid Medicare card and the GP’s referral to Tusanee. We offer Medicare easy claims. This means that the client pays the full cost at the time of the visit but can choose to receive the Medicare reimbursement of $52.95 to their bank account. Cancellations require 48 hours notice otherwise unfortunately the fee will be charged. Our physiotherapy service is recognised by the major health funds as a provider. What can the Physiotherapist help you with? If you have women’s problems such as losing urine when laughing, jumping or coughing. Physiotherapists can also help if you are losing urine because you are not making it to the toilet in time. If you had a baby and needed stitches afterwards, physiotherapists can help with your pelvic floor recovery afterwards to prevent having bladder problems later in life. A physiotherapist may also be able to help if you are experiencing pain whilst pregnant. Physiotherapists can also help with pains in other parts of the body including your back, neck, shoulders and knees even if you have had these pains for a long time. When you first come to see the physiotherapist, the session will consist of a discussion about the problem. The physiotherapist will ask you questions such ‘When did the problem start?’ ‘What activities make the problem worse’? These questions may take up to twenty minutes. The physiotherapist will then perform an assessment where she looks at the way in which you are moving and how strong particular muscles are to help decide on the best treatment for you. The physiotherapist will then provide you with treatment which in most cases will be specific exercises to help the problem but may include some ‘hands on therapy’ such as soft tissue massage and joint mobilisation. How do I see the Physiotherapist and am I eligible to access the Physiotherapist through Medicare? You can refer yourself to see the physiotherapist. Just phone the centre for an appointment. 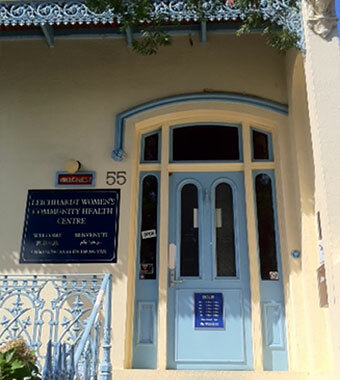 Women with chronic and complex health problems may be eligible for a referral from their General Practitioner through Medicare’s Individual Allied Health Services for Patients who have a Chronic Condition and Complex Care Needs (Items 10960). A chronic condition is a condition that has lasted for 6 months or more. If this sounds like your situation, speak with your GP about Medicare’s requirements and whether you’d be suitable for the plan. If eligible, you would receive a Medicare rebate which would help you cover some of the cost of the appointment. Clients wanting to access Physiotherapy through Medicare will need to meet Medicare’s requirements which including being referred by their GP using a ‘Referral Form for Chronic Disease Allied Health Services under Medicare’ that has been issued by the Department of Health and Ageing or a referral form that contains all the components of this form. When the GP has arranged the referral form, the client then phones the centre for an appointment. The client must come to the appointment with her valid Medicare card and the GP’s referral to Tusanee. Contact us to make an appointment to see our physiotherapist.